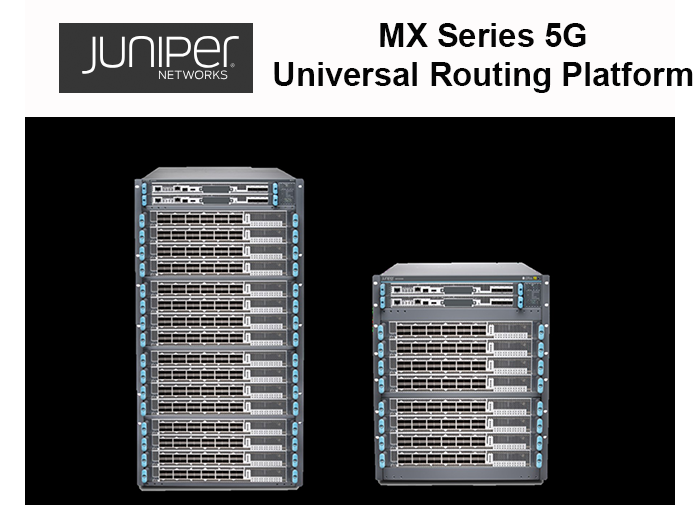 Juniper Networks unveiled a major refresh to its metro, edge and core solutions to accelerate service providers’ 5G transformation. Introducing the 1 RU ACX700 Universal Metro Router to serve access applications with IPsec transport. It supports the precise timing and bandwidth requirements for 5G and meets the environmental requirements for deployment at remote, hardened sites such as street cabinets. The platform offers 24x10GbE and 4x100GbE port densities. The router is based on merchant silicon. Commercial availability is expected in early 2020. Introducing the 3 RU ACX700 Universal Metro Router with 2.4 Tbps of total system performance in a temperature-hardened form factor for both pre-aggregation and aggregation. The route is based on merchant silicon. Commercial availability is expected in early 2020. Introducing the MPC11E line card for the MX2000 Series 5G Universal Routing Platform. The new line card is powered by Juniper’s Penta Silicon, delivering a three-fold increase in line card and system capacity with 4 Tbps per slot capacity for high-capacity edge routing platforms. The Juniper Penta Silicon-powered MPC11E line card is expected in the second half of 2019. Introducing new Triton Silicon capable of delivering 400GbE native MACsec support. The new Triton Silicon will enable leading 100GbE and 400GbE density in Juniper's PTX10008 and PTX10016 Universal Chassis. The new Juniper Triton silicon promises a ~70 percent power efficiency gain (~0.15 watts per gigabit) over existing Junos Express Plus silicon, leading to a 380% bandwidth increase over the previous generation line cards in the PTX10008 and PTX10016. The new Triton Silicon-powered 14.4Tb line cards for the PTX10008 are expected to be available during the second half of 2019. “Service providers seek agility, cost savings and new services from 5G networks, but capitalizing on these benefits requires a complete transformation of infrastructures, operations and services. 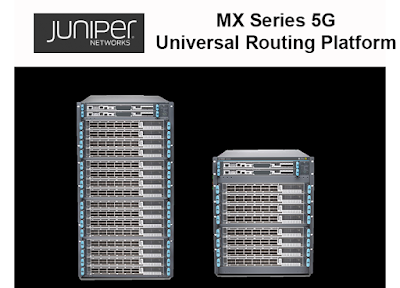 With today’s announcement, Juniper Networks is giving service providers the building blocks required to create 5G-ready networks built for simplicity and agility that are capable of supporting immense traffic demands for the future. 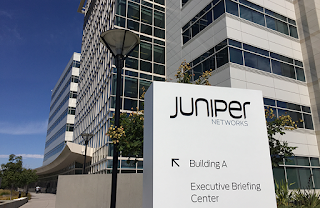 By combining the attributes of secure and automated cloud architectures, Juniper is ushering in the next era of service provider networking,” stated Brendan Gibbs, Vice President, Product Management, Juniper Networks.